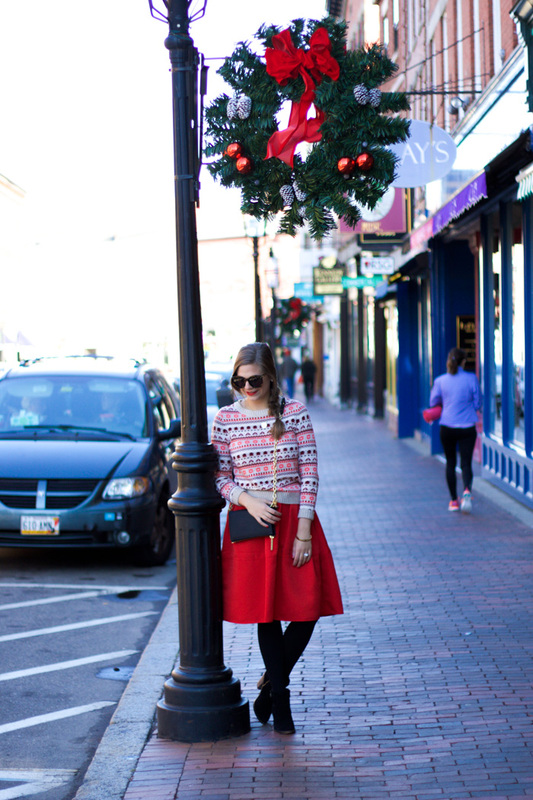 This skirt (seen last year here and here) is one of my all time favorite statement pieces. 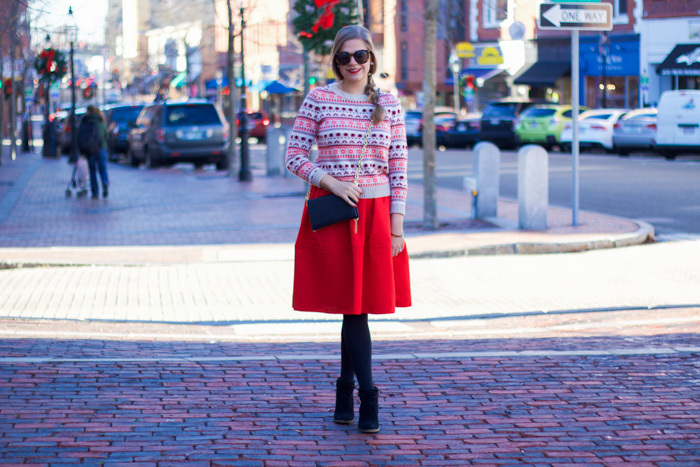 I love the big, full skirt and bright pop of red! It's perfect for Christmas, Valentine's Day, or any other time you want to make a statement! While in the past I have worn this skirt with blouses, this time I decided to change it up and pair it with an almost cropped sweater. 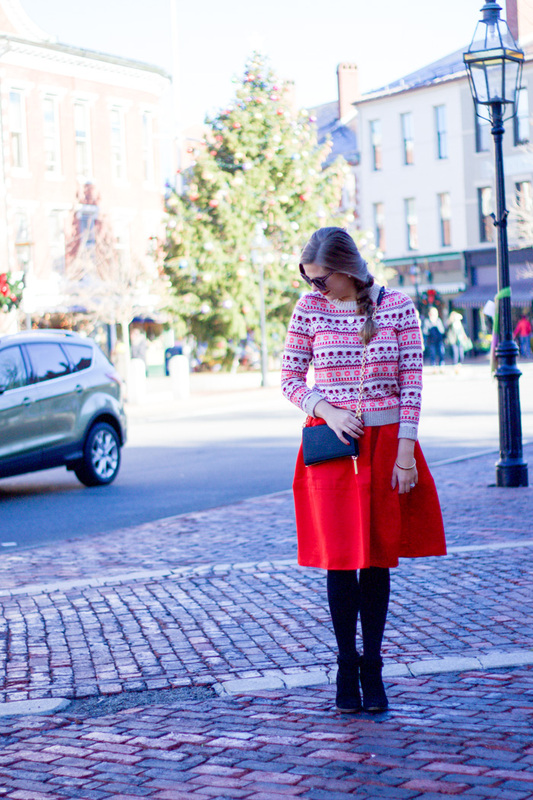 I love the colors in this fair isle sweater, it's the perfect combinations of shades of red and pink! 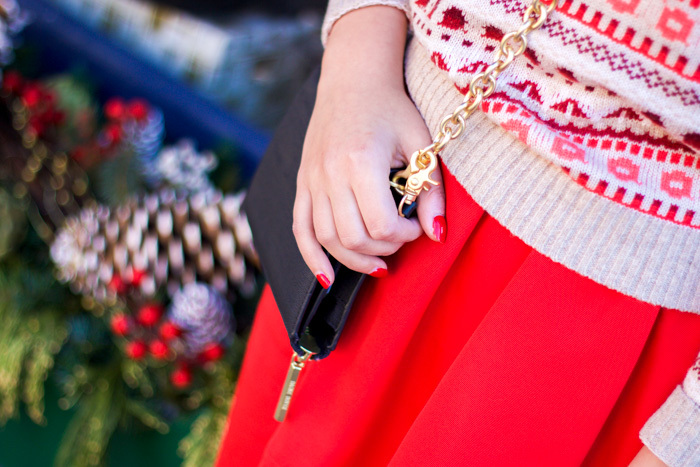 I don't think it screams "Christmas" but when paired with the right pieces, it can quickly become a Holiday sweater! (Be warned, it is pretty short1) I haven't fully decided but this just might be my Christmas Eve outfit! What are you all wearing?? This is so gorgeous! How perfect for the holidays! What a great outfit! I love that sweater!